Is this real or just another listing ‘error’? 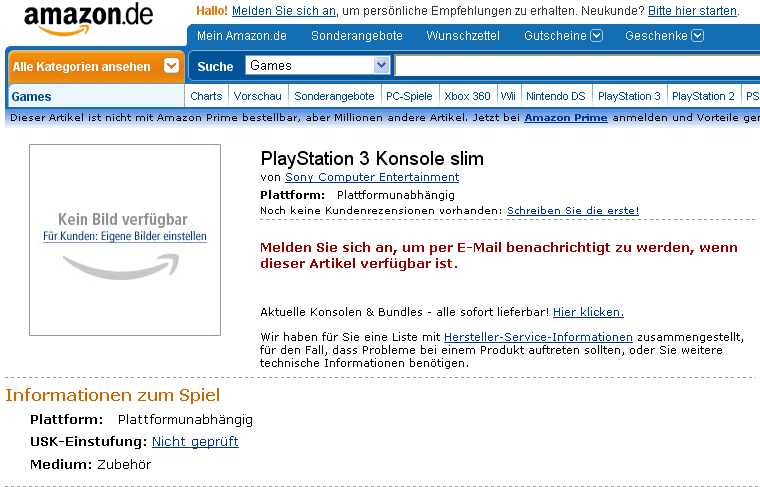 It seems that Amazon Germany just posted an unannounced PS3 Slim in their product listing. The page is still up as I post this. This entry was posted in Gaming and tagged playstation 3, ps3, slim, sony. Bookmark the permalink.